Men Meeting for Meditation (M3): What Would You March For? 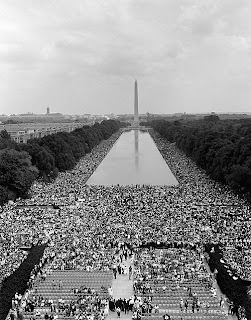 This Wednesday is the 50th anniversary of the “March on Washington for Jobs and Freedom” and Martin Luther King, Jr.’s famous “I Have a Dream” speech on the steps of the Lincoln Memorial. This weekend, I took my 5-month old son down to the new King memorial near the National Mall and we briefly heard his son speaking. We walked around the Tidal Basin and back up to the Lincoln Memorial and looked out over the reflecting pond which on that day was filled with hundreds of thousands of protesters. I kept thinking, “what would I march for?” What do I care deeply enough about to have my son carry on that legacy? I don’t mean just clicking “Like” on Facebook or holding a sign at a rally, but what would I care so deeply about that I would sacrifice everything for that cause. There is no right answer to that question. Each of us has to decide what matters and what we will care enough about to make that a change. Even if we fail, we fail at our own task. 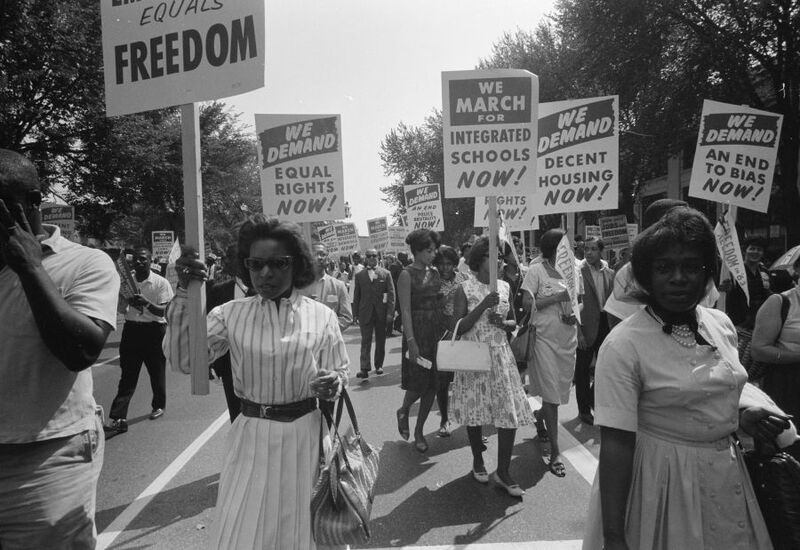 So as we celebrate the stand that so many people took for civil rights and the struggle that still continues today, it is worth pausing and asking, what is my duty? What would I march for? I think that's a really good question to ask: what do I march for? But based on my experience, I'm starting to realize that the question should come with a caveat: the reasons need not be grand. 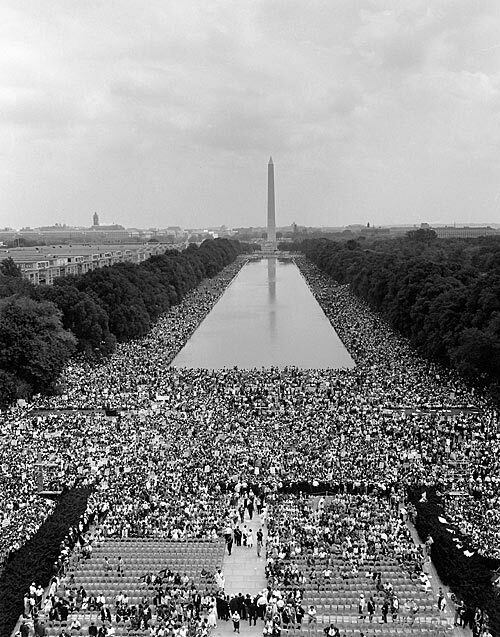 My sense from the stories of those that marched 50 years ago is that, while they were all marching for a "great cause" together, individually they were marching for very personal reasons. Some had felt some particular racial injustice, some felt compassion for a neighbor or friend, others wanted a different school for their children etc. All to say the answers to the big questions are allowed to be simple, personal, and "small." Sending a big thanks to Kevin for keeping this alive via this post; there is such a strong vibration, I feel, when I hear of M3. I'll physically miss the rendezvous for Sept, but there is no doubt I am energetically present. Since this posting, I've thought about the questions Kevin posed and found myself asking the very same questions when thinking of the questions. I know that we can have our own non-measurable acts that contribute in their own ways, and even though I face some of these challenges above, I am not pressed up against them on a moment-by-moment basis (well, maybe not every day, although lately it’s been so: http://talkaboutfoodjb.wordpress.com/2013/08/11/raleys-intolerance/) as many were at that time. Every part of my being is not cut into, severed, and reduced like it was for those who marched 50 years ago. Even when I look at the kids across the street from my place in DC, I don’t see the possibility of them organizing in a way that is constructive like that of 50 years ago. There is a complete disintegration of values and purpose that is separated from each of them (individually and communally) as a result of how our society has evolved. This concept always makes me think of Joseph Campbell’s closing remarks in his wonderful book, “A Hero with a Thousand Faces” where he writes, “it is not society that is to guide and save the creative hero, but precisely the reverse.” In other words (meaning mine), in our society today we are more likely to have individualized forms of expression, but that we must also go inward (like in Buddhism) to answer our societal-wide questions, in a way possibly preventing any March-like event to embody a true spirit of activism.